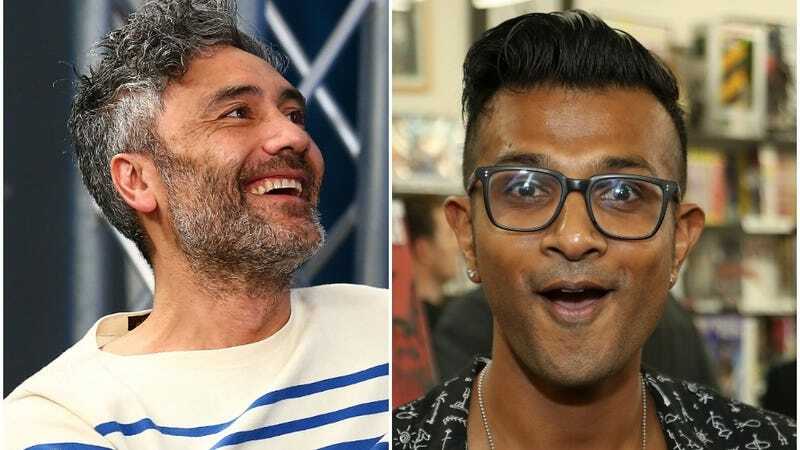 Taika Waititi and Pitch Perfect star Utkarsh Ambudkar are joining Ryan Reynolds and director Shawn Levy for Free Guy, a sci-fi action-comedy about a man who realizes he’s in a video game and has to save his world from certain, uh, unplugging. The project also stars Get Out and Bird Box’s Lil Rel Howery. 20th Century Fox and 21 Laps Entertainment started development for the film in 2016. Reynolds is producing through Maximum Effort with Greg Berlanti and Sarah Schechter producing through Berlanti Productions. Since the project is in pre-production, there are no additional details about specific roles just yet. Reynolds is currently busy gearing up for his debut as Detective Pikachu, which hits theaters May 10. Meanwhile, Waititi will be pulling double duty for the upcoming Disney+ series The Mandalorian as he toggles between “director” and “droid” as the voice of IG-88.